LAS VEGAS – Early voting for the November 4 general elections started in Nevada Saturday, Oct. 18, with a popular Filipino grocery store here designated as one of the polling places. A Filipino-American is on the ballot in one of the positions at stake in this state’s premiere city, and voting materials are available in Tagalog in a recognition of the growing political muscle of Filipino-Americans, Nevada’s largest Asian ethnic group. As balloting began at Seafood City and other precincts, Judge Cheryl Moss, whose family originally came from Aklan, expressed optimism she will prevail in her bid for a fourth term as District Court judge. 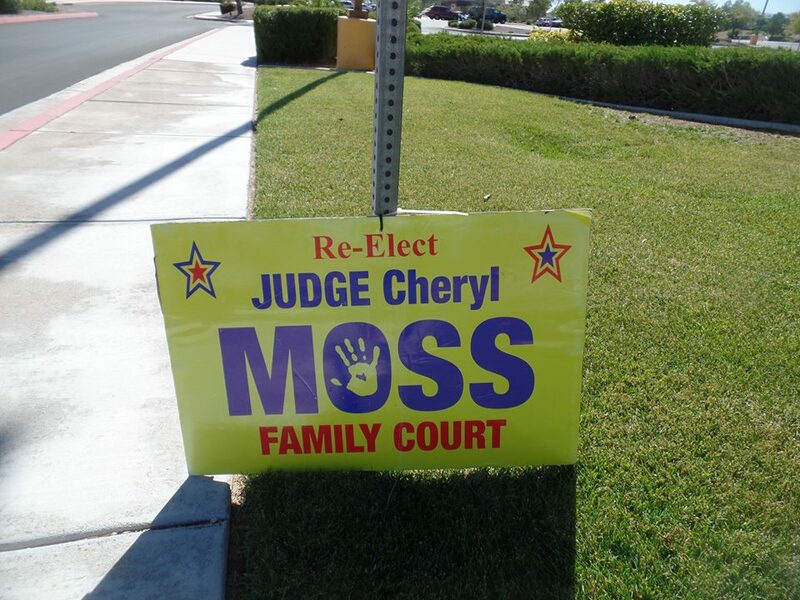 Moss is seeking a new six-year term as District Court Judge, Family Division, Department I, a post she first won in 2000. She will go up against Travis Shetler in a non-partisan judicial contest that will test Moss’ support beyond her traditional Asian-American constituency. “The Filipinos especially will come out to vote for me and give me a push, “Moss said, adding that in her last three elections, she got at least 67% of the vote. What keeps Moss’ hopes up are key endorsements by the powerful labor unions, including police and firefighters, and community groups, such as the Hispanic Caucus. Two other Filipino-Americans did not survive in the contested June primaries, leaving Moss, the daughter of retired doctors, to become the most visible elected official in the Fil-Am community, pegged at 30,000 by the 2010 Census. Comprised mostly of healthcare professionals – doctors, nurses, therapists – and casino workers, Filipino-Americans have earned the right to use Tagalog in Nevada elections. It is the third language used; the two others are English and Spanish. All election-related materials, such sample ballots, brochures and voting instructions, pamphlets, voting machines, notices, and polling booths signs must be in those languages. It is mandated by Section 203 of the Voting Rights Act, which requires that if a minority group reaches 10,000 citizens who are not proficient in English – or those limited-English speakers become five percent of the citizen voting-age population. The determinations are made every ten years following the census. Data released last October revealed that Filipinos in the U.S. reached that threshold in four new jurisdictions, including Clark County. In Nevada, Filipinos number nearly 100,000, according to the latest census. Filipino-American community leaders hoped Tagalog ballots would result in a surge of new voters, but based on the elections two years ago, this did not make much difference. May Manahan, a Clark County elections employee, said there was no significant increase for Tagalog ballots in the early voting. “Perhaps our people are comfortable enough with English ballots,” she said. “Most Filipinos are proficient in English because of our American educational system. A steady stream of voters, however, stopped by the polling booths at Seafood City, and good number turned-out for the two days of voting there that plans are underway to request permanent voting sites there.